The third EMECS Conference was a joint conference with the 7th Stockholm Water Symposium. 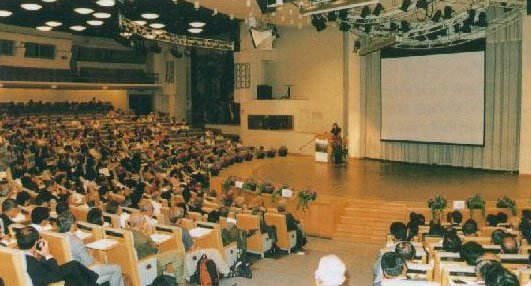 The joint conference was held in Stockholm, Sweden, a city that has been called the “water capital” of northern Europe. This was the first conference to be cosponsored by the International EMECS Center, which was established in 1994 following the success of the first two EMECS Conferences.The theme of the conference was “With Rivers to the Sea:Interaction of Land Activities, Fresh Water and Enclosed Coastal Seas”. One thousand delegates from 80 countries,including researchers in the fields of both fresh and ocean water, government officials, and representatives from NGO organizations went beyond the confines of their individual specialties and forged ties by debating such topics as the flow of nutrients from land to sea, the function of fresh water in transporting harmful pollutants, and the relationship between land utilization and water quality.